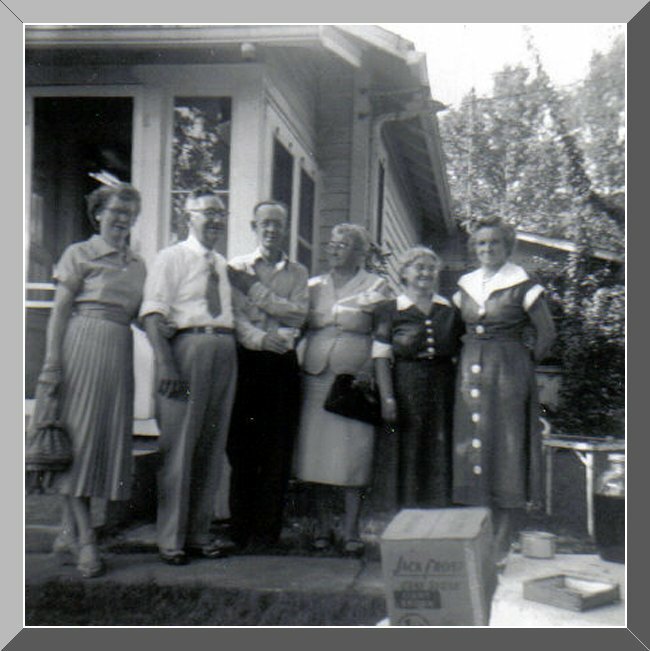 This is Everett Conley - 2nd from left - and his sister, Frona Conley Adams - 2nd from right. It would just be a guess to try and name the rest of the people. This photo was provided by Teresa Bauer Traugott.